Microsoft ends Encarta. Will your memory be next? 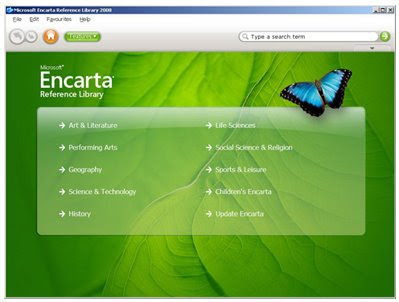 Microsoft has announced it will discontinue the Encarta encyclopedia this fall — a sad bit of news for those of us who grew up struggling with DOS and floppy discs and were suddenly delighted to find all the world’s information on a set of computer CDs. More than a victory for Wikipedia, the move points to a future where storing information locally really doesn’t matter that much anymore, since you can rapidly pull anything out of the cloud. Which brings up your mind. We have to wonder, what is the rationale for learning new languages or memorizing presidents if all that data can be transcribed and pulled forth at the touch of a keystroke? In a few hundred years, human beings may be prized more for their ability to search and less for their ability to remember. Computer banks may become the real memory systems; just as social media now has extended our personal Dunbar numbers to allow for 1,500 relationships instead of 150, it may be more efficient to let data chips record the world, and we’ll simply learn to call up the right search query. With the ubiquity of GPS and video and human relationship mapping, pulling the universe together is only a step away. Why should we have to remember all that? Just a thought. We had another point, too, but forgot.